RationalPlan Project Viewer lets you view files created either with RationalPlan project management software, or with Microsoft Project. You can view both files created with Single and Multi versions of the RationalPlan project management software. The software can be useful for people, like financial backers, projects team, or people working on the project from outside of the organization. They can simply get the project file from the shared hosting, or they can open it directly from the server, from within the application. All of the features from other RationalPlan project management software are enabled, with only difference being that the editing feature is not available. 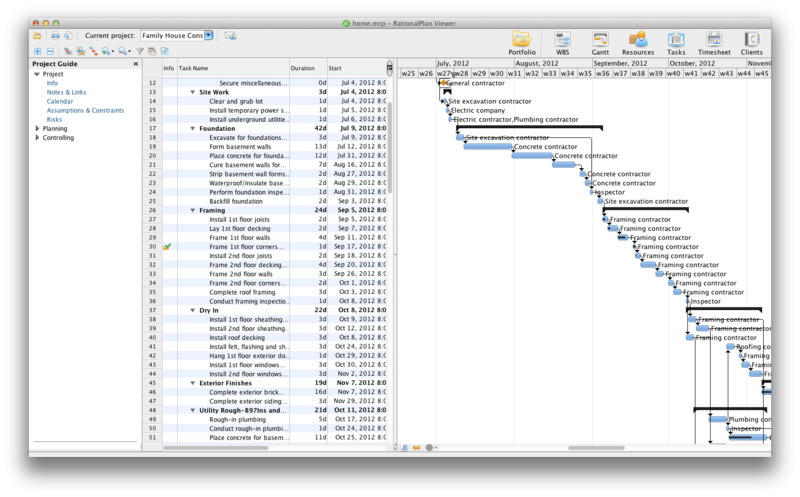 This allows you to view projects WBS, Gantt charts, assigned resources, track projects progress, and others. Everything can be viewed in the tiniest detail. 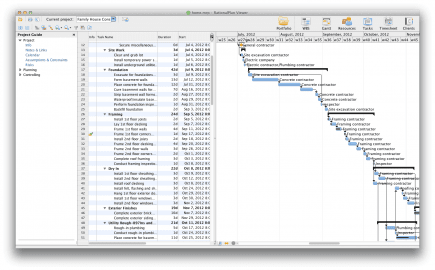 RationalPlan Project Viewer can be also useful for converting project files to another format. For example, you can open projects saved in RationalPlan project format, and save them to MS Project file format. Additionally, you can also print or export the projects data. All in all, RationalPlan Project Viewer is a useful project viewer application, and best of all, it is free. For viewing projects created with MS Project, you don't even need to have MS Project installed on your Mac. If you prefer working in your browser, there is a browser version of this software also available.